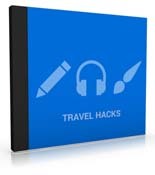 A pack of 10 audio parts talking about travel hacks. – Staying in a Hotel. Get to Know Your Staff Before You Travel.